The Kastel mindset is to be the prime provider of the most beautiful settings in any home. Attention to detail is the hallmark of our company. 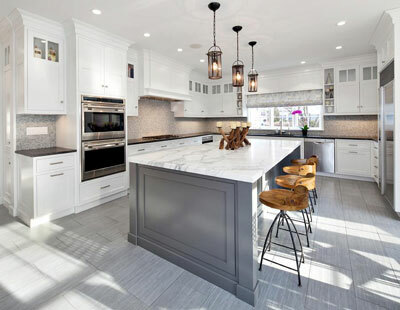 Our in-house service provides, partnering with the client, envisioning your style and design selection, complete and accurate measurements in your home, and finally prepare the site for installation of your custom built cabinetry and furniture. At Kastel, we provide more than twenty years of applied design and contracting services in the New York Metropolitan and Tri-state area. Specializing in residential renovations and custom built-ins, we collaborate with custom manufacturers chosen for their ability to produce exquisite finishes and craftsmanship. We design our cabinetry, integrating a fully custom approach while utilizing an unlimited choice of wood species, customized door styles, and accessory options. Kastel features design-to-build service, providing a full range of contracting, renovation, and installation services. We design your entire space, and work closely with you or your design team for a one of a kind product appealing to your sophisticated tastes. Then, we pull together the entire process from preparing the space to assisting you in making finish selections including fixtures, appliances, lighting, stone and tile.